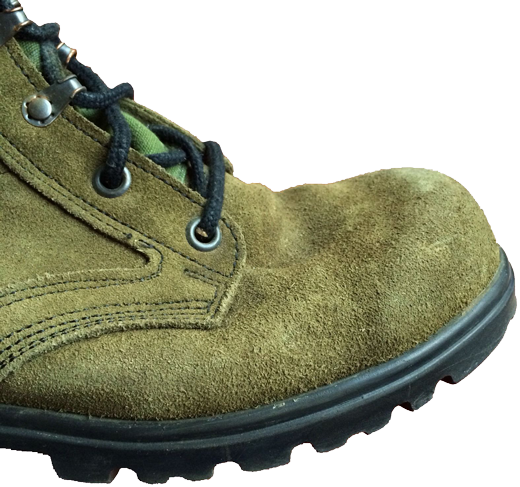 The detailed examination of the structure and materials of these green summer boots shows their deep similarity to the M92 "desert" boots of the Netherlands, starting from Direct Moulded Sole (DMS) method of out-sole attaching and up to the lacing system, which could also vary from the early version with full "speed-lacing" system to the version with two lower pairs of simple round eyelets instead of "speed-lacing" eyelets. 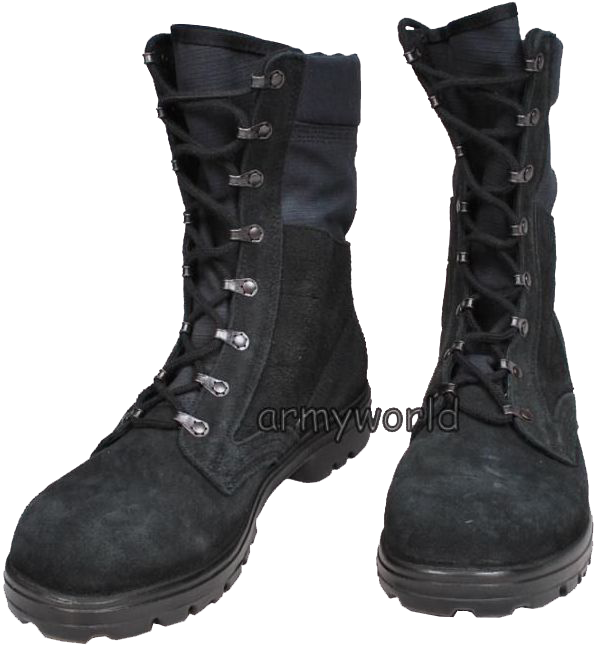 Dutch military boots for summer were also available in black colour. These models were provided to the police forces. Such boots featured full "speed-lacing" system. 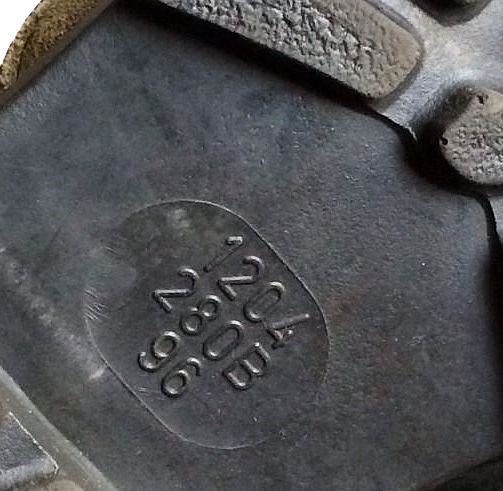 The marking with size and widths was indicated on the out-soles of the Dutch summer boots. 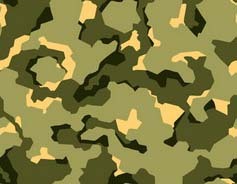 The material of the later nitrile rubber out-soles, used for the Dutch green summer boots, over time reveals a tendency to cracking and self-destruction. 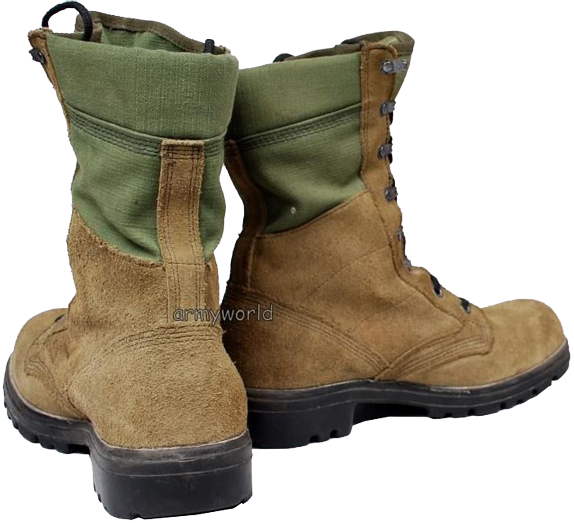 Another important drawback of these boots - according to my personal customer's feelings these green summer boots of the Netherlands are not very comfortable to wear, because the in-seams of the boot's top stitching are quite crude and can rub, especially when the size and width of these boots are chosen not correctly. The first model of Dutch boots for hot and humid climate (1970-80s) is actually a hybrid of early American and British "jungle" boots. 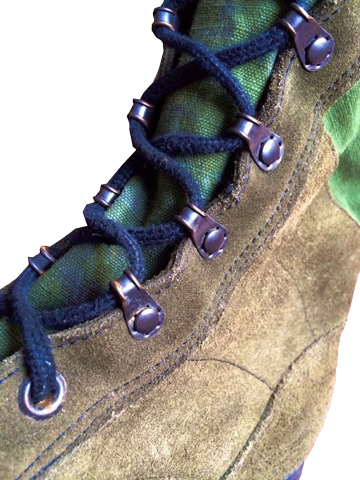 The lacing system consists of 10 pairs of simple round eyelets (4 lower and 6 upper pairs), between which there was a cut-out for better flexibility of bending). 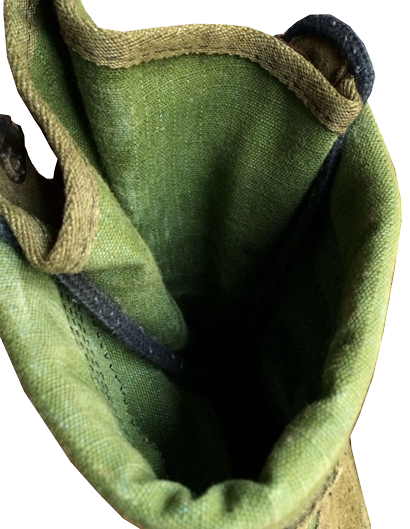 The boot's top consists of green tarpaulin (the Dutch themselves use the term "canvas" to call this material) and black grained leather. 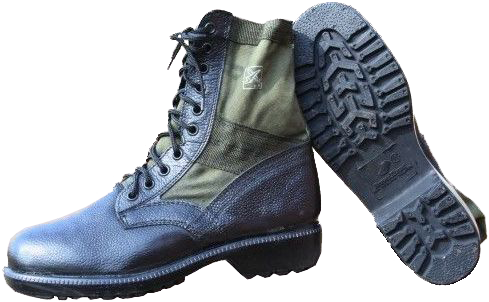 The out- sole is made of rigid polyurethane (the material resembling German jungle boots by "Baltes" company), the tread pattern of the out-soles were of own Dutch design, similar to the British "jungle" boots. 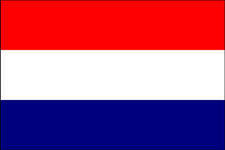 Since the 1990s, the Dutch troops took part in the four major military campaigns in Bosnia, Kosovo, Iraq and Afghanistan (Uruzgan Province).